You can pack a lot of excitement into one day on the river when white water rafting! 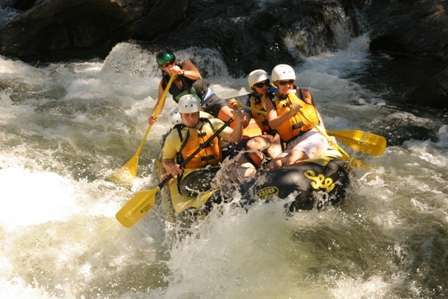 But when you extend your trip into an overnight white water rafting experience, you, and your group, get so much more. Whether it’s with Southeastern Expeditions out on the Chattooga River or some other location, you’ll find multiple benefits to a multi-day rafting trip. If you’re considering the possibility of sitting on a small raft with multiple people for more than a couple of hours, let alone days, chances are good you love nature! Few activities reward that passion more — especially when you turn it into a multi-day occasion. Cruising down a river affords the opportunity to unplug and disconnect yourself from the fast pace of the real world. Single-day trips tend to focus more on the action of the rapids, which takes up most of your attention. A more extended excursion, which includes overnight camping near the river, will give you more time to take in the pristine waters, waving trees, relaxing natural sounds and diverse wildlife species. The Chattooga River in Northern GA is a particularly good place to indulge in nature-loving, as it stands as a designated location by the National Wild and Scenic Rivers System. When you take a multi-day trip, disconnecting from technology and the other vices of the modern world allows you to focus on not just the beauty of nature, but also the other people you care about. Spending hours in a small boat and at the overnight campsite with your friends and family will coax out unique interactions that build relationships. You’ll battle waves, try to keep each other in the boat and share meals — and that’s not to mention the downtime you’ll have in-between that encourages in-depth conversations and laughs. When comparing multi-day vs. single-day rafting trips, it’s hard to argue against the better value of the former. By paying slightly more, you’ll get more meals, more time on the river and in nature, and a camping trip under the stars. The value of a longer trip goes beyond the monetary aspects, as forging stronger relationships with your friends and family can bring tremendous emotional satisfaction. You’ll also get the chance to learn more about the surrounding environment, as well as rafting and even your guides. It’s wholesome, it’s fun, and it’s accessible to people of many ages. 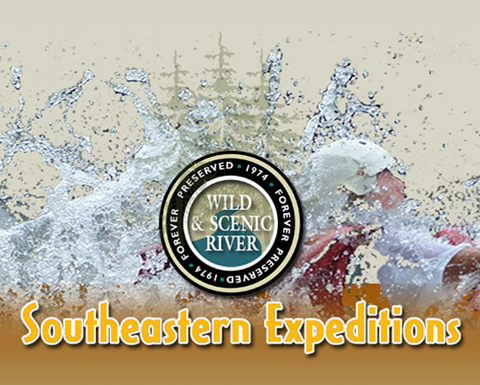 Southeastern Expeditions ranks as one of the best white water rafting outfits in Georgia — and we maintain excellent safety ratings and prioritize your satisfaction. Our friendly guides will keep you informed, safe and entertained. Plus, our multi-day trips include riverside meals: hearty campfire entrees that feature steak, trout and other delicious foods.